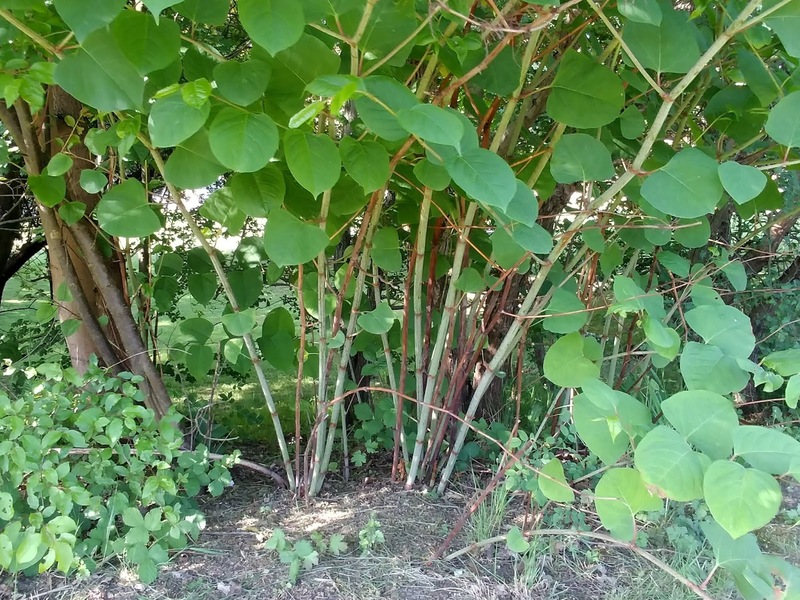 North Mymms Parish Council (NMPC) is obtaining quotes for the eradication of Japanese knotweed after the discovery of what is thought to be thickets of the invasive plant in Gobions Open Space and close to the war memorial. One of the patches is close to the rear gardens on the south side of The Grove in Brookmans Park. The other is on the bank to the north of the North Mymms war memorial close to Tollgate Road. 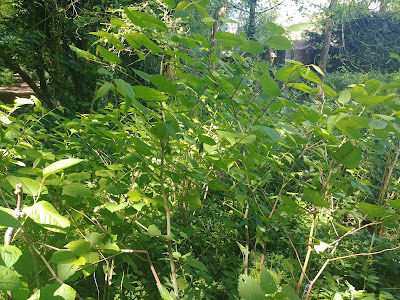 A concerned resident, whose garden backs on to the wooded part of Gobions Open Space, has written to this site claiming that North Mymms Parish Council has made "little effort to eradicate the growth of Japanese knotweed" close to his property. But council minutes from two meetings held so far this year indicate the local authority is on the case, despite there being no visible evidence of any work having been carried out so far. "A possible presence of Japanese Knotweed has been identified in Gobions open space. Photographs have been emailed to a specialist company for confirmed identification. It will take a few seasons to eradicate. It is not a notifiable issue. Quotes to be obtained for its eradication if positively identified." A month later, the minutes from the Amenities Committee on February 7, 2018, embedded below, show that a quote had been received but was rejected as being too expensive. References on pages 24 and 26. "One quote has been received regarding eradicating the knotweed but it was very expensive. 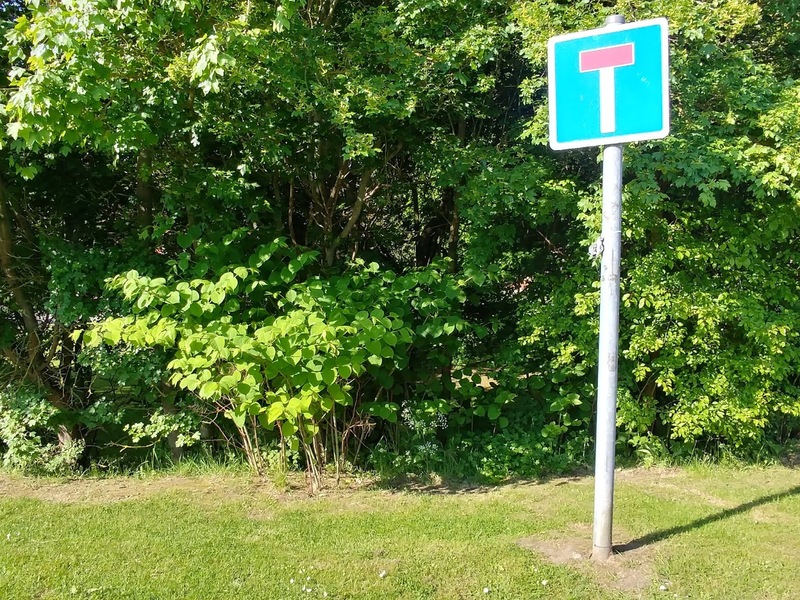 A do it yourself method which entails drilling holes in the stems and putting a liquid in to kill the knotweed was discussed but it was agreed that it really needs a licensed contractor to do the job." The minutes from that February meeting continued to set out the action to be taken. "Possible knotweed has been identified at Gobions Open Space and at the War Memorial. The Clerk has obtained a quote from www.japaneseknotweed.co.uk for a 5 year treatment. The company will also attend site and carry out a free survey. It was agreed that Councillor Stephen Boulton should be asked to check out the Gobions site and a free survey requested from the company. Councillor Stephen Boulton to confirm presence of knotweed at Gobions. Clerk to request survey to be carried out at Gobions by Japanese Knotweed Company. Clerk to inform Herts County Council, Highways of possible knotweed presence at the War Memorial." The grid reference for the thicket at the North Mymms war memorial site is TL 22353 04705, the grid refererence for the Gobions Open Space thicket is TL 25245 03920. According to the Royal Horticultural Society: "Japanese knotweed is a fast-growing and strong clump-forming perennial, with tall, dense annual stems. Stem growth is renewed each year from the stout, deeply-penetrating rhizomes (creeping underground stems)." NNSS, the Great Britain None Native Species Sectretariat, says the plant can have a negative impact on native plant life and the environment. NNSS has issued a flyer about the plant, which goes by the scientific name Fallopia Japonica. "You must prevent Japanese knotweed on your land spreading into the wild. 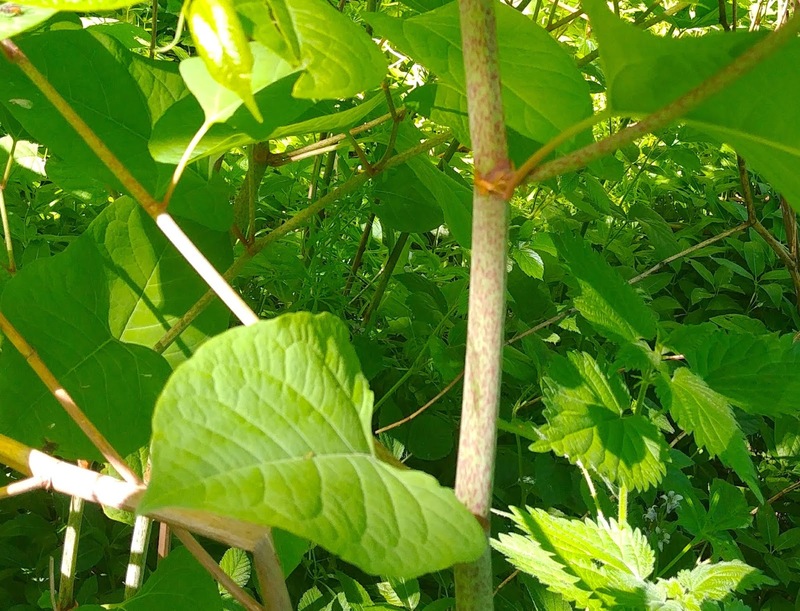 Soil or plant material contaminated with non-native and invasive plants like Japanese knotweed can cause ecological damage and may be classified as controlled waste." "You could be fined up to £5,000 or be sent to prison for up to 2 years if you allow contaminated soil or plant material from any waste you transfer to spread into the wild." All the images and text above (except in the pdf) are by North Mymms News and are released under Creative Commons BY-NC-SA 4.0. 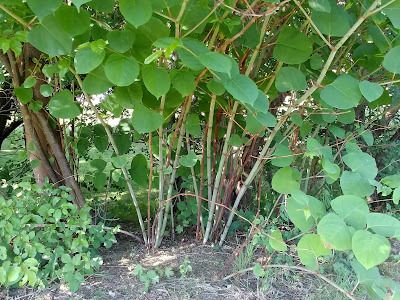 Have you spotted any Japanese knotweed in the area? If so, please use the comment box below. Contributions will be delayed in appearing because the comments are pre-moderated before they go live.